constructed to fit over the implant fixture. 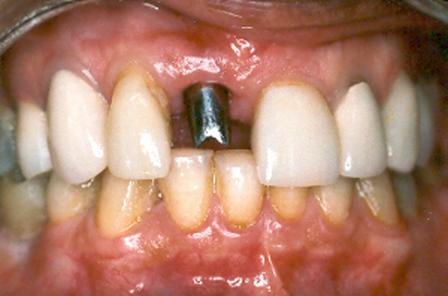 Post-op photo: A metal-ceramic crown was fabricated and cemented onto the abutment. 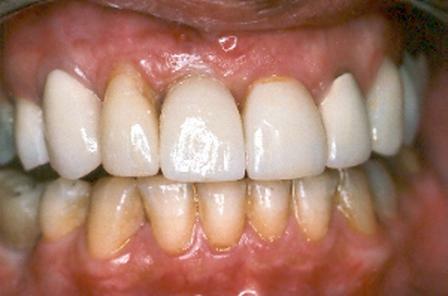 The final outcome is an esthetically pleasing restoration.